Andrew began his career in HM Customs & Excise and subsequently moved to HMRC (then called the Inland Revenue) on appointment as one of HM Inspector of Taxes. After completing his training he was sent as District Inspector in charge of Folkestone District and was soon transferred to Head Office as a fraud investigator in Enquiry Branch (now Fraud Investigation Services) where he spent six years conducting Code of Practice 9 investigations on a wide variety of individuals, partnerships and companies. On leaving Enquiry Branch Andrew was appointed in charge of a number of Districts in London before leaving the Revenue to join Blyth Dutton a West End law firm – later merged with Lawrence Graham. Subsequently Andrew became a partner at a top 20 accountancy practice Casson Beckman and later took on the same role at Moores Rowland. From there Andrew and his team were invited to join Williams Jeffrey Barber, later rebranded Chiltern plc, one of the UK’s leading tax advisory firms. During that time Andrew’s team, which had by that time grown to 14 investigators, won the prestigious Best Tax Investigations team award at Tolley’s annual awards ceremony. Andrew then joined Alvarez & Marsal Taxand LLP – a US professional services firm which he left in 2011 to set up his own practice. He writes extensively for a number of professional magazines, is frequently asked to comment on investigation matters by leading newspapers and is a regular speaker on the conference circuit. He also contributes a chapter on HMRC Criminal Investigations for a loose leaf publication and collaborated with a prominent criminal lawyer on a similar chapter for another publisher. Andrew co-chairs the ICAEW’s Tax Investigations Practitioners Group (TIPG) which he also founded. The TIPG committee regularly meets senior members of HMRC to discuss investigation policy and practice. 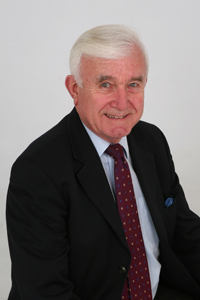 Andrew is a Member of the Academy of Experts and is a qualified commercial mediator. Rebecca started her career as a management accountant at a Lloyd’s of London syndicate (now called Novae Group plc) in 2000. 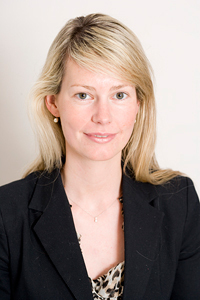 Rebecca gained a place on Ernst & Young’s graduate tax rotation scheme in 2002. She worked in various teams including Global Mobility (preparing expatriate tax returns), Employment Tax Solutions (managing complex tax schemes for employees including employee benefit trusts) and Employment Tax Consulting (advising on PAYE/NIC issues including due diligence investigations). Rebecca settled in the Tax Risk Management team where she specialised in managing HMRC enquiries for individuals and companies. She project-managed one of HMRC’s largest Code of Practice 8 enquiries under the Litigation and Settlement Strategy which involved working at the client to review all the documentation and email correspondence in relation to setting up the transactions and deciding what to provide to HMRC based on relevance and legal privilege. In 2008 Rebecca moved to Alvarez & Marsal Taxand LLP, specialising in Code of Practice 9 enquiries, Code of Practice 8 enquiries, New Disclosure Opportunity reports and Liechtenstein Disclosure Facility reports. She managed one of the largest disclosures to HMRC under the NDO of over £1 million. She left A&M in 2012 to set up Watt Busfield Tax Investigations LLP with Andrew Watt. She loves working closely with clients to understand their tax affairs and enjoys the satisfaction when the tax issue has been resolved. Rebecca received a bachelor’s degree (2:1) in Geography from Oxford University. She is a qualified Chartered Tax Adviser (CTA) and member of the Chartered Institute of Taxation (CIOT). She received a distinction in her Association of Tax Technician (ATT) exams. Rebecca is also part qualified with the Chartered Institute of Management Accountants (CIMA). Rebecca is a member of ICAEW’s Tax Investigation Practitioners Group (TIPG). Rebecca undertook a six month secondment at The Prince’s Trust in 2006 in the business development team, and completed their 270km Coast to Coast team challenge raising over £4,000. She also completed the London Marathon in 2007. She is a supporter of the National Trust, Landmark Trust and renewable energy.